Help us to raise $10,000 for Community Cats and Injured Strays! 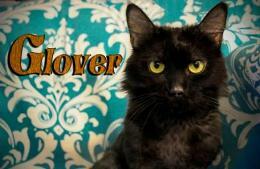 Glover, pictured here, is a "community cat" brought to Animal Control by DPS, after being hit by a car. 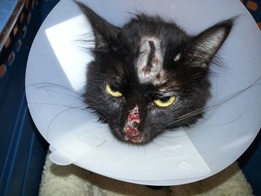 He needed emergency treatment for a degloved tail, possible facial fractures, and severe dehydration. He sat in horrible pain for two days without treatment. ALF rescued him and admitted him to the hospital, making him our first recipient of ( ). What is BKIND? "Community cats" don't have traditional owners; we're just part of the community. We were born to someone's pet who roamed freely outside without being spayed. Some of us are desperate housecats who were abandoned when our people moved away. We hunt for food and try to find a safe place to hide. Some of us are captured and taken to the dog pound. There we become ill, and terrified, and many of us don't leave that building alive. Animal Loving Friends helps by making sure we can't reproduce, and providing us food and water. It's called TNR. They've helped approximately 700 of us in this way! When they can, they also save some of us from that scary dog pound, and find us a new home with people who love us for the rest of our lives. This is what the General Fund is for. Lots of us have serious injuries or illnesses, and need thousands of dollars of expensive hospitalization and emergency surgeries. ALF takes us to the hospital to make us feel better again. The fund enables this. My name is Betsy, and I was exposed to Raid, a highly toxic chemical, because I had fleas. I tried to chew my own leg off... I'm Firefly, a young malnourished kitten who was living on the streets... ALF finally gave me a name, Little Miss Muffin, one of many cats imprisoned in the noisy, chaotic dog wing at the pound, and scheduled for euthanasia. 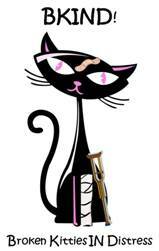 I'm only a kitten myself, giving birth already. My babies were taken by another rescue, but they left me to die. It's been more than two years since ALF's last fundraiser. Though space and money are tight, they somehow squeezed us all in, as they so often do, just to save our lives. Their homes and hearts are full, but the bank account isn't. We're so glad that they always seem to find a way to help us anyway. You could ease the burden by making a donation. That way ALF can worry more about us cats, and less about how to pay the bills. Their administrative costs are less than 5%; so almost every penny goes directly to caring for us. Make a generous tax-deductible pledge, to help community cats! Now you can help the animals every time you shop online at hundreds of stores that you already patronize! We've recently added several affiliate programs so that YOU can make a difference in the lives of animals with the purchases you already make, without costing you a cent more! Every item you purchase for yourself or someone else helps another rescue animal - it doesn't even have to be pet-related!